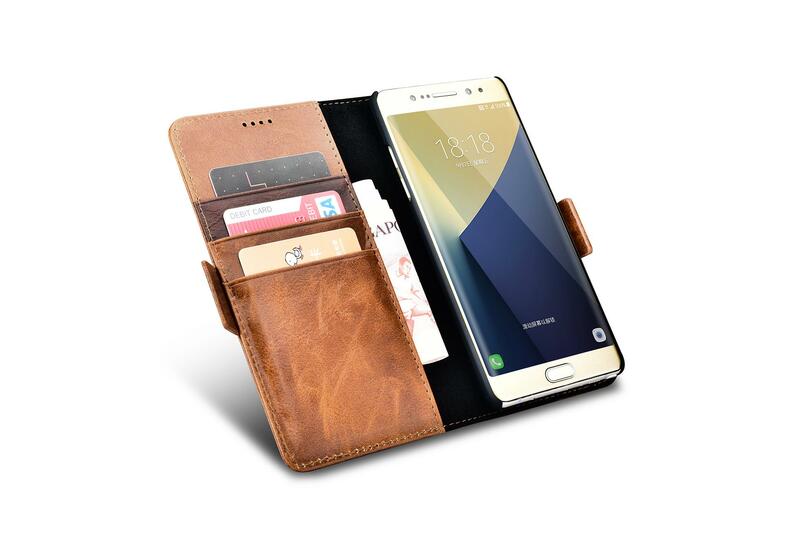 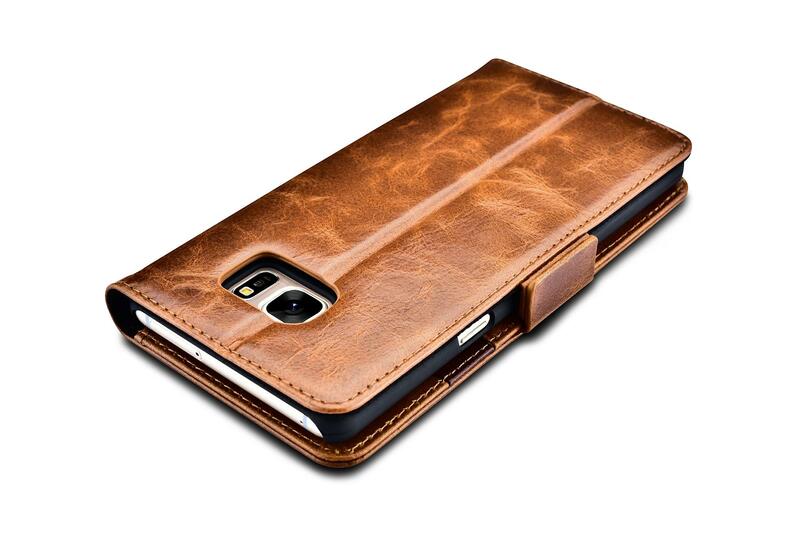 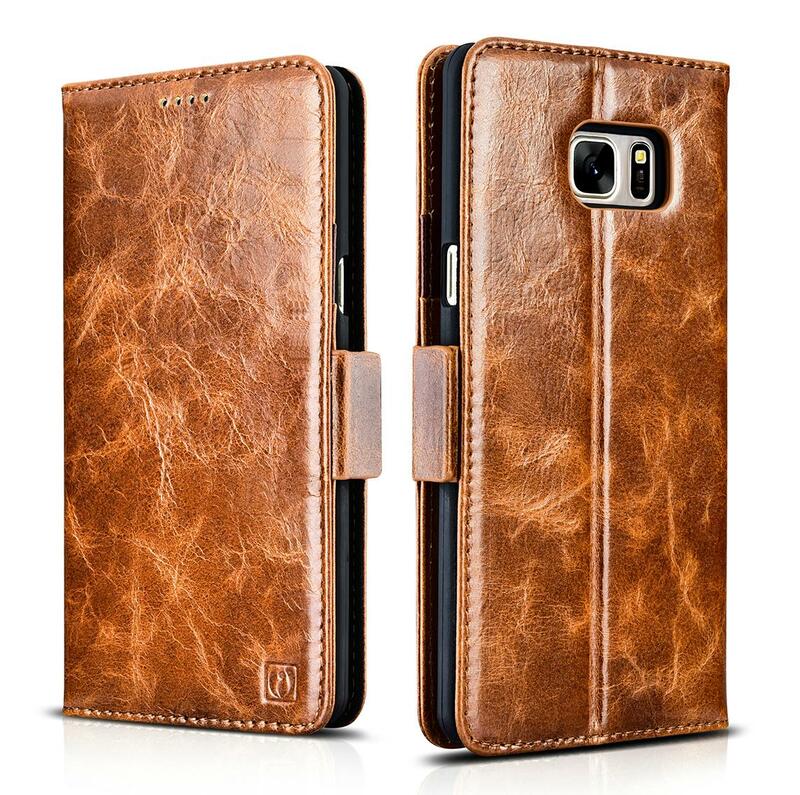 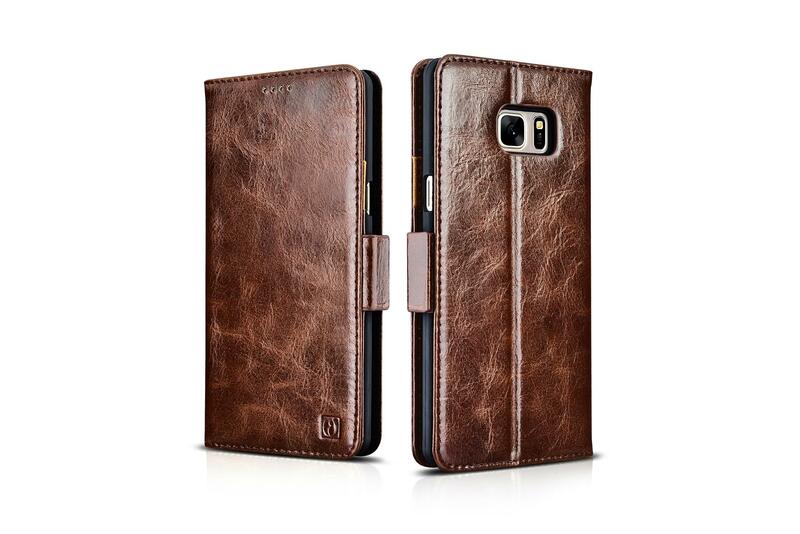 iCarer Samsung Galaxy Note 7 Oil Wax Genuine Leather Wallet Folio Case use of premium genuine vintage cowhide leather with purely handmade by innovative design. 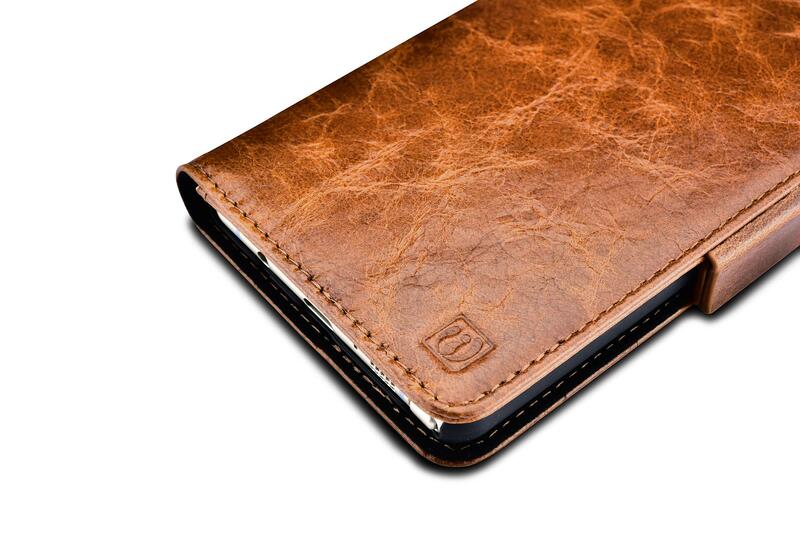 The easily snap-on case was made of quality hard PC. 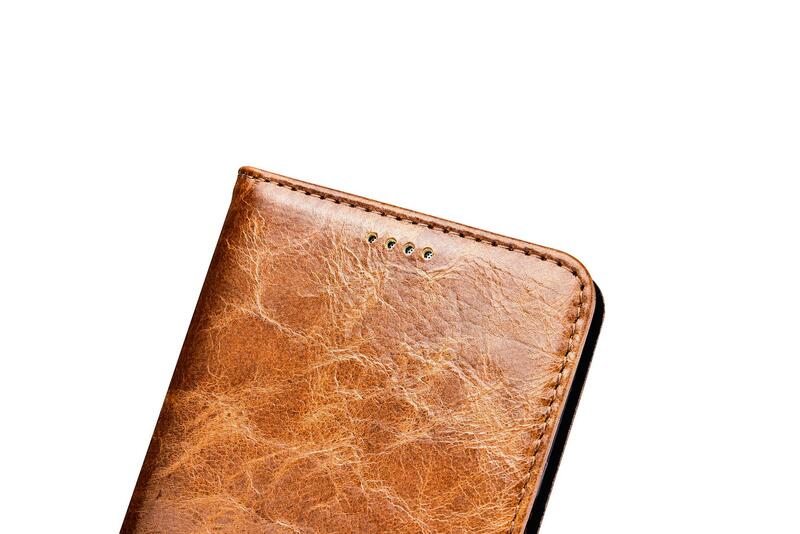 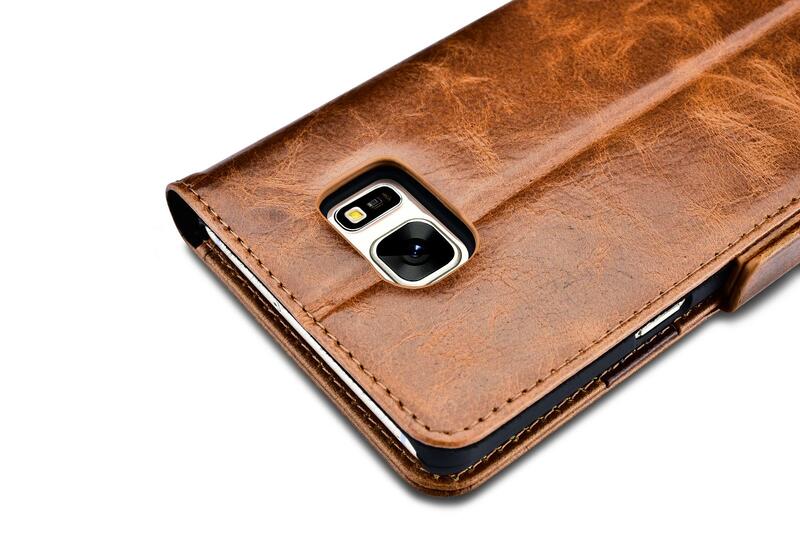 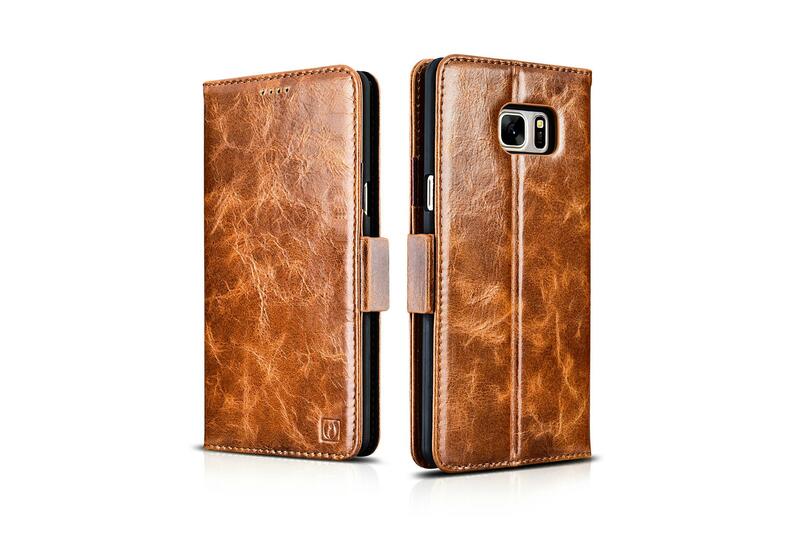 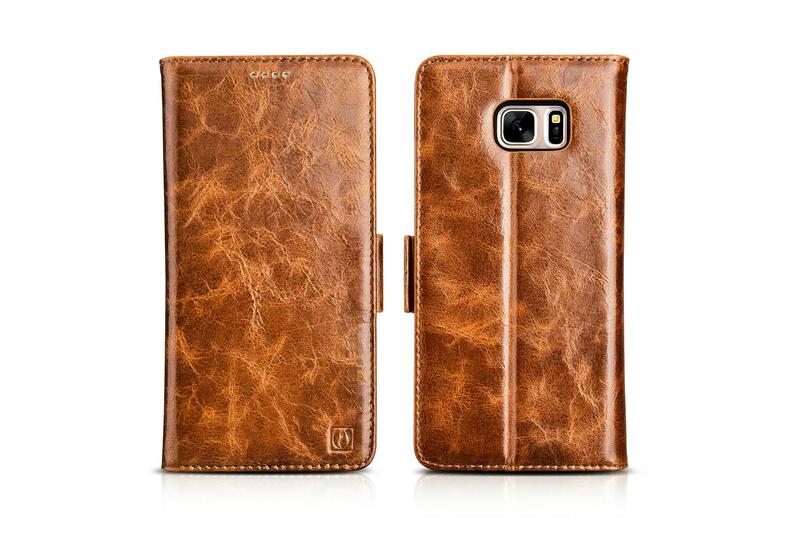 Three built-in card slots and money pocket for you. 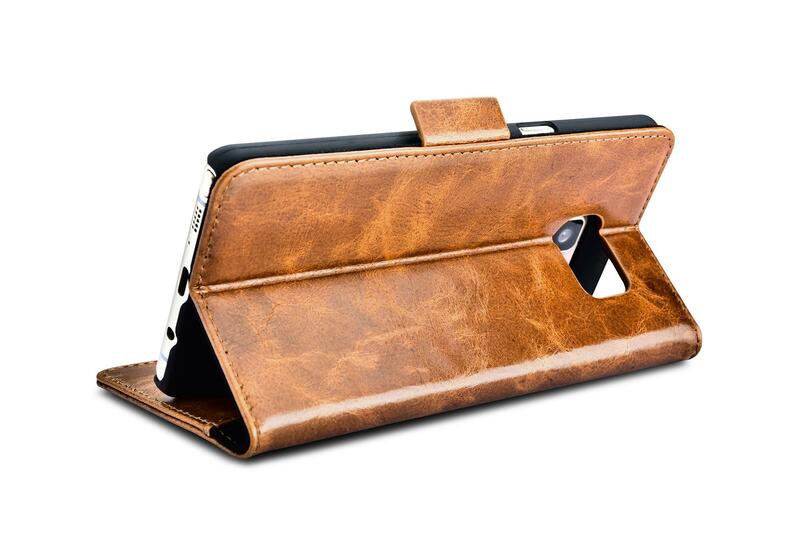 The firmed stand function offers you multiple viewing angles and helps you find your most comfortable way to use this case. 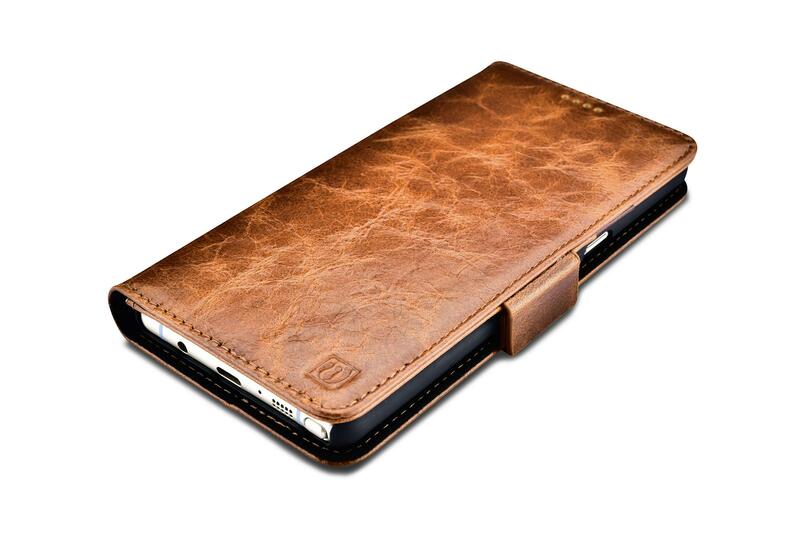 Side open design with easy access to all control buttons without removing the case.